Most folks down here in the southeastern USA call several species of cockroaches, water bugs and beetles one simple name. Palmetto Bugs! 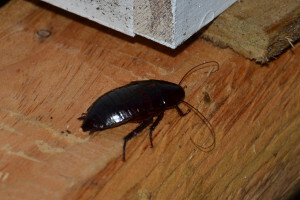 If it crawls on my porch, floors, doors & counter tops and looks like a GIANT cockroach… well it’s a Palmetto Bug. The truth is that a Palmetto Bug is actually an American cockroach (Periplaneta americana). These are large, winged and ugly bugs! At Complete Pest Management a local Myrtle Beach Extermination company we can come to your home or business and identify the bugs that are bugging you to provide you with the proper solution for your cockroach infestation. Not all cockroaches require the same extermination process so identification is important to curtail future re-infestation. Call us today for a FREE estimate. Although the German Cockroach is not as large and scary as the American Cockroach they are certainly dirtier and nastier and will make you loose sleep at night. German cockroaches are the smaller brown winged roaches that you will find infesting your kitchen cabinets by the thousands, behind your walls, in your dishwasher or microwave and even in your cereal and flower boxes up in the cabinet. These are the ones you see on your kitchen table when you get up in the middle of the night for a drink of water. 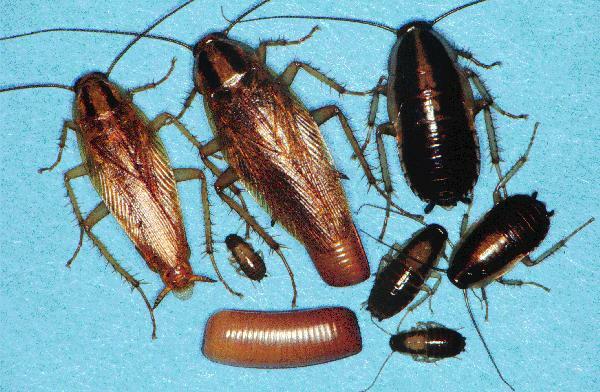 Complete Pest Management can rid you of these pesky roaches fast. 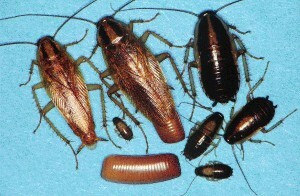 Call for a fast and affordable solution to for your roach infestation of any species.